We all know there’s a lot of talk-worthy subjects when it comes to the Oscars like the winners, the group selfie, Ellen DeGeneres’ pizza delivery, Jennifer Lawrence’s second time awkward fall and a whole lot more. But one of the things that captivated me the most during the Oscars and all these award series is Jared Leto’s perfectly ombréd, beachy waves hair . Not only is he a Golden Globe and Academy Award winner, a rock icon, a great actor, an extraordinary singer, a loving son and brother but he’s one of the best male celebrities with enviable hair. He’s been known to experiment with different epic hairstyles since he became an actor. He even has a hair club on Tumblr! Even actresses like Olivia Wilde, Kat Dennings, Rachel Bilson and Julia Roberts are asking about Jared Leto’s hairstyle! Then apply Vidal Sassoon Pro Series Waves Pomade to the length of the hair, which provides a flexible hold and soft, glossy curl definition. 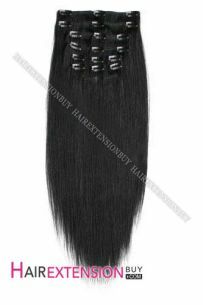 Create the desired part and let the hair air-dry. Spray Vidal Sassoon Pro Series ColorFinity Dry Shampoo in Rich Darks to the roots to refresh the hair. Then spray Vidal Sassoon Pro Series Heat Protect & Shine Spray to the ends to protect the hair from heat before straightening it. For maintenance, Kusero’s advice is to wash hair just a couple of times a week. Washing the hair less is the key. So what are you waiting for? Leto-fy your hair now!